Amazon is offering the Anker Powercore 10400 for just $20, a 60 percent discount. 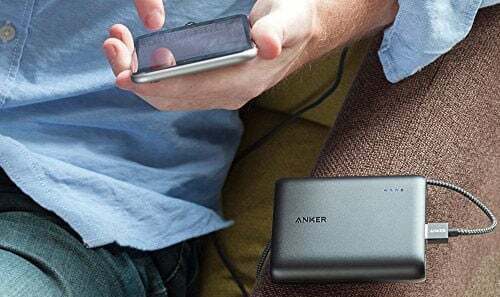 There’s plenty of portable battery packs out there, but the Anker Powercore 10400 is our or favorites. With a 10400mAh battery, you get enough power to charge your iPhone many times over. Each Powercore comes with 2 USB-A ports that can each put 2.4A, which means you can charge up your devices nearly as fast as you would on a wall outlet. Not bad, right? Plus, with Anker you can feel confident you’re getting a quality product.